The causes of blood cancer are still unclear, however, there are certain risk factors that are associated with blood cancer. 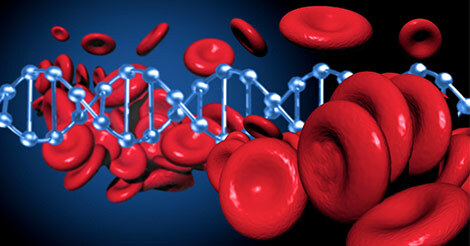 The causes of blood cancer can be genetic. The article contains some useful information about the blood cancer causes, survival chances and effects. This is the only confirmed lifestyle related risk factor for blood cancer. Smoking is commonly known for causing lung cancer or mouth cancer, however, it also affect the cells that indirectly come in contact with smoke, like blood cells. Exposure to chemicals like benzene. Benzene is used in the rubber industry, oil refineries, chemical plants, shoe manufacturing, and gasoline-related industries. Some studies tell that heavy factory exposure to formaldehyde increase the risk of blood cancer. The patients who have been treated with chemotherapy, have high risk of developing blood cancer. High-level of radiation exposure, for example, surviving an atomic bomb blast can cause blood cancer. The biggest and the most terrifying example of radiation exposure in front of the world was atomic bomb blast in Japan, where the people exposed to the radiation of this blast were found to be developing the disease in higher ratio, even after more than the half of the century people there still affected by those radiation causing cancer. Blood disorder seems to be increasing the risk of blood cancer. These disorders includes chronic myeloproliferative (condition that causes the blood cells to grow rapid and abnormally), polycythemia Vera (body starts generating too many red blood cells), essential thrombocythemia (body produce too many blood platelets), and idiopathic myelofibrosis (bone marrow disorder, where the bone marrow starts disrupting production of blood cells and replace them with fiber scar-like substances). The risk increases if the treatment of these disorders includes chemotherapy. Blood cancer, unfortunately, affects a large number of people. It is possible to detect risk factors and diagnose risk factors through routine check-ups. These regular fitness checkups can offer detailed information about your overall health and can help to detect different types of blood cancer and other serious conditions. If you have any questions about blood cancer or would like to talk to someone about it, we have a team of experts who can help. Contact us by filling this form of Indus Health Plus and resolve your queries.